Size (Inches): 9 In. X 4 In. X 3 In., 12 In. X 4 In. X 2 In., 9 In. X 3 In. X 2 In. We are one of the leading companies of the market, we are engaged in offering a stunning range of Precast Slabs. Known for its high strength, these slabs are widely used in various industries for many purposes. Offered range is available with us reasonable range. Quality approv ed material is used to prepare this range. 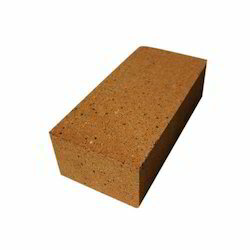 We are one of the reliable companies in this domain and are into offering fire Brick. manufacturing all kinds of refractory products. we are supplying in all over steel plants, and all types industries in world. our refractory products is based on quality and quantity. Matching up with the ever increasing requirements of the customers, our company offers a standard quality range of Chamber Brick. These are specialized walls constructed in very high risk areas where the potential of damage to life and property is high.These are walls constructed from high temperature and fire resistant bricks bonded with fire rated joint seals so as to protect the installations or the vital applications in a building. 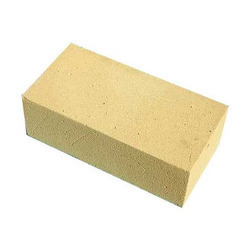 Relying on our expertise in this domain, we are into offering High Alumina Refractory Brick. Our price range: Normal with normal 50-60% alumina 10- 15 rs. Mullite is a raw material with high heat resistance. At present, there are mainly high purity fused mullite, ordinary fused mullite, finely sintered mullite with all natural bauxite and caustic-burned mullite.